As a single person, it can sometimes be a little nerve wrenching to go on holiday alone. Maybe you just broke up with your girlfriend or boyfriend, or possibly you are considering meeting someone new. You might even just prefer to go solo. Whatever the reason, there are many great options available for singles holidays in Europe this year. Fancy getting out on the ski slopes? Ski resorts are a great way to have fun and meet like-minded folk. 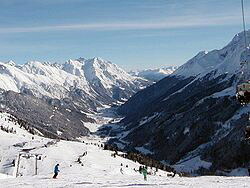 Ski holidays are on offer in several exciting locations in Europe. Try St Anton in Austria (pictured right). This resort has a brand new hotel along with skiing and wild nightlife to keep you busy and enjoying yourself. Social skiing is one of the best ways to both have a great time and also meet new friends. Try Courmayeur in Italy for the most gorgeous scenery and great snow. The resort has that typical, laid-back Italian atmosphere for a great time. Switzerland is a natural choice for a great ski holiday. Try Verbier with its excellent nightlife and amazing ski facilities. Tignes in France gives you several great resorts to choose from with every kind of atmosphere from chic to just plain friendly and fun. Not feeling up to the energetic vibes of the ski scene? How about a single's break in a great European city this year. One fascinating location that everyone should visit is Berlin in Germany. Steeped in so much history, but also with a great modern vibe and so much entertainment available for your pleasure, Germany's capital is a definite must visit. 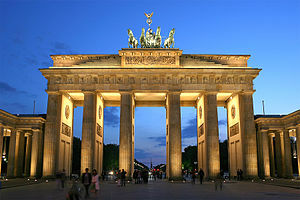 Stay in a hotel close to all the attractions, like the new Reichstag and the old Brandenburg gate. Visit the various museums dotted around in the city for some fascinating tours. And don't forget that famous German beer! Feeling like partaking in a little Italian cuisine? How about a city break in historic and beautiful Bologna. Bologna is the largest city (and capital) of the Emilia-Romagna Region in Italy and is well known as being the country's food capital. If you always wondered where that tasty sauce came from, yes, Bolognese sauce was invented in Bologna and of course the city is the very best place to eat your Spaghetti Bolognese! The city is also famous for being host to many beautiful medieval buildings and is literally steeped in culture. 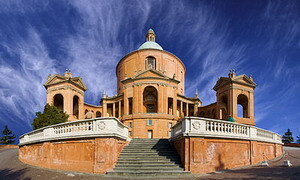 Pictured right is The Sanctuary of the Madonna of San Luca, a basilica church in Bologna and just one of many lovely buildings in the city. Visiting a foreign city alone can be a daunting experience, but if you choose one of the great singles holidays available out there, you will find it a breeze. Let someone else organise your life for you, explaining all the mysteries of the local public transport, suggesting the very best and affordable restaurants for your meals and ensuring you get to see all the major sites along with other singles in the same group. Who knows? You could find the love of your life, or simply make a whole load of great new friends. Whatever your preference, you can definitely have a great holiday.